When you think about the best content marketing examples you’ve ever seen, a college or university probably isn’t the first publisher to pop into your mind. 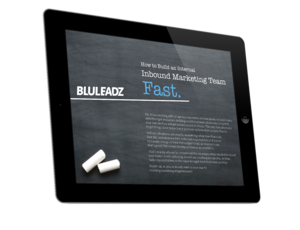 But education content marketing has huge potential to be fun, interesting, and informative. Like other forms of marketing content, education content appeals to specific personas. These can include students and would-be students at any stage of research or decision making. High school teachers, guidance counselors, and parents are also ready audiences for this type of content. Although education marketing has an effect on organic search traffic, this isn’t the metric by which most visitors end up at a college website. They may be looking at options in terms of their proximity, cost, or available majors, for example. Far from limiting the scope of content marketing, this gives education brands creative leeway to do some awesome things. These six content marketing examples from around the U.S. will give you a taste of how web content can energize education brands. A good blog is the foundation of content marketing, but you might wonder just how a university can distinguish its blogging. UChicago News focuses on topics of general interest to the public and brings a keen editorial flair, too. Readable treatments of ideas like Book Purchases of Liberals and Conservatives Reveal Partisan Division demonstrate how the work done on campus is relevant to the wider world. This has the potential to fan excitement among both prospective students and parents. Columbia is one of the most successful centers of business education in the United States. In some sense, its reputation speaks for itself – but the decision to post solid content marketing examples regularly is a strong business move that helps capture new audiences. 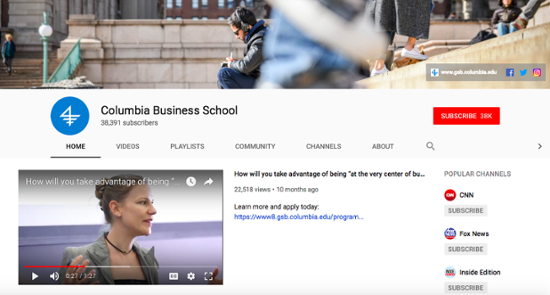 The effort at Columbia focuses on slick, snackable video shorts that unpack important business topics. Although the production values are high, each segment shines with authenticity: Real faculty and students participate, discussing topics in a relatable, conversational way. If you’ve ever had to look up grammar or writing basics while developing your own content marketing examples, odds are good you’ve happened across The OWL at Purdue. This Online Writing Lab provides a tremendous amount of content for making your writing better. In fact, it is even used by published writers in professional settings. Hundreds of individual writing topics are covered, ranging from high school to upper graduate level. In addition to bringing in a huge amount of organic traffic, The OWL can put Purdue on the radar of students who may be considering a transfer or thinking about grad school. Insight Magazine is a tremendous example of brand publishing for educational institutions. 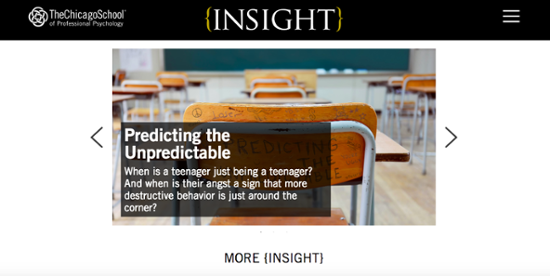 As sleek and intuitive as any beloved blog out there, Insight makes it easy to surface exciting content on the cutting edge of psychology. Insight Magazine isn’t shy about being targeted at prospective grad students and working pros who want to deepen their knowledge. It digs deep into pertinent issues, with well-researched, tightly written content pieces that often top out at 2,000 words. 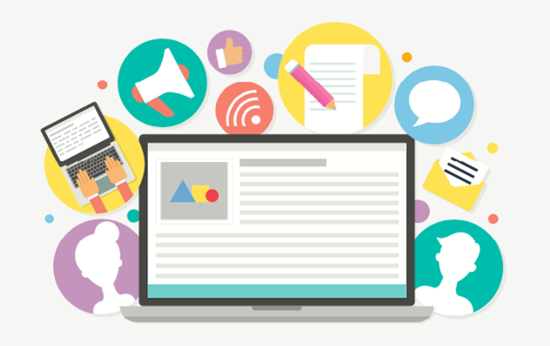 Know your audience and just about any channel can be used to its maximum potential. Drake shows off that fact in spades with its striking success on the Drake University Pinterest. Both informative and fun, it gives new students the lowdown on dorm life. With colorful photography that shows off the beauty of the university’s Des Moines campus, it gives tips on things like decorating a dorm, eating healthy at college, and exploring the local area. That appeals to students as well as the adults who advise them. MIT is a titan of tech, a university known for incredible innovations and outstanding students. The complete on-campus experience is also famously challenging, with some of the toughest coursework around – but MIT has chosen to be a pioneer in making education accessible. 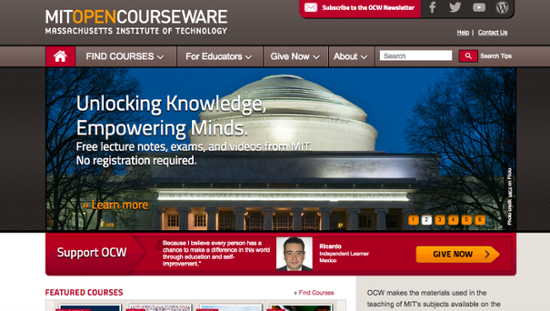 OpenCourseWare is an archive of classes from across the diverse spectrum of MIT curriculum. With a free signup, independent students can select any number of classes and get access to the original syllabi, lessons, video lectures, and more. This is one of the top examples of content marketing for education because not only does it net students who may go on to MIT’s online certificate programs, it also positions the brand as one of the undisputed leaders in the emerging world of distributed education. 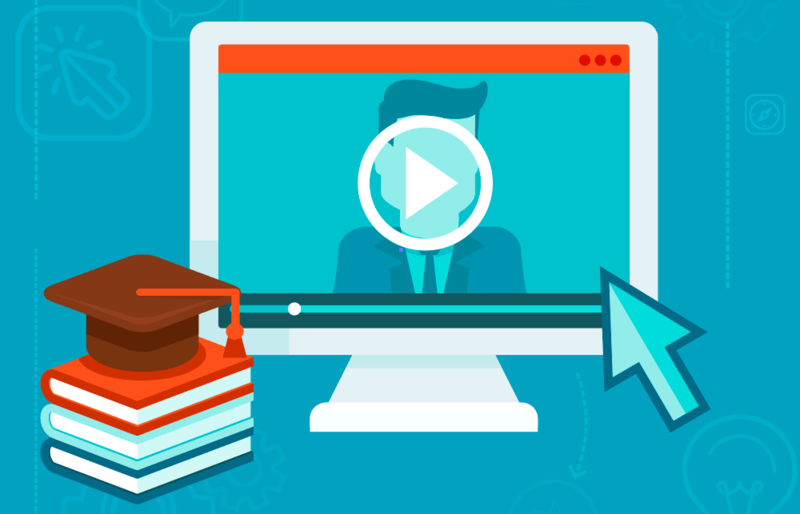 Educational marketing is charging forward into a new age. It’s vital that colleges develop responsive and engaging brands that speak to their audience of mobile natives. These six content marketing examples are just the tip of the iceberg: New needs continue to inspire creative educators and their supporters, making education marketing more valuable than it has ever been.